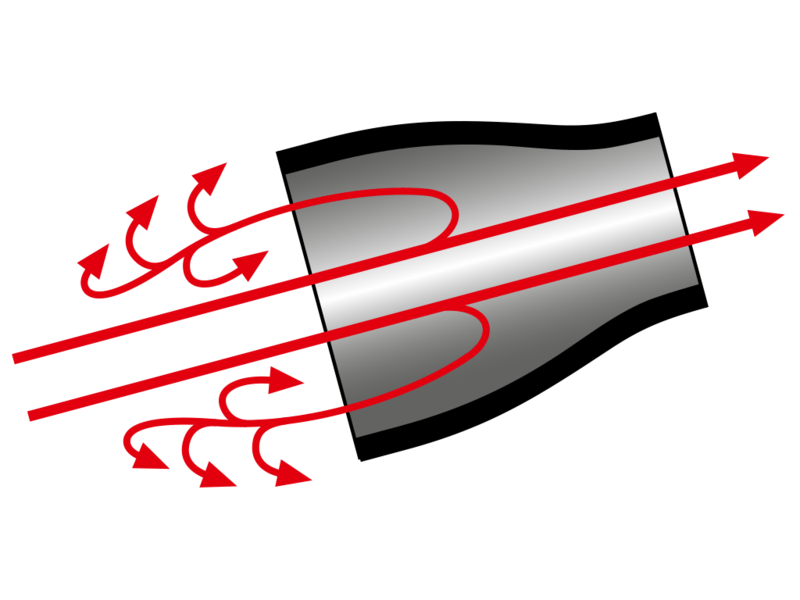 VISCO JET® proves beyond doubt that for successful agitation, mixing, homogenizing, suspending, or dispersing, it’s not the speed that’s decisive, but the technique. Its particular strength lies in the special geometry of its conical mixing elements. With its cleverly-designed spatial and angular relationship, the agitator ensures an optimum mixing process in a very short time even at low circumferential speeds. We‘ve proven this technology in almost every industry. It is flexible, reduces costs, and guarantees high-quality results. 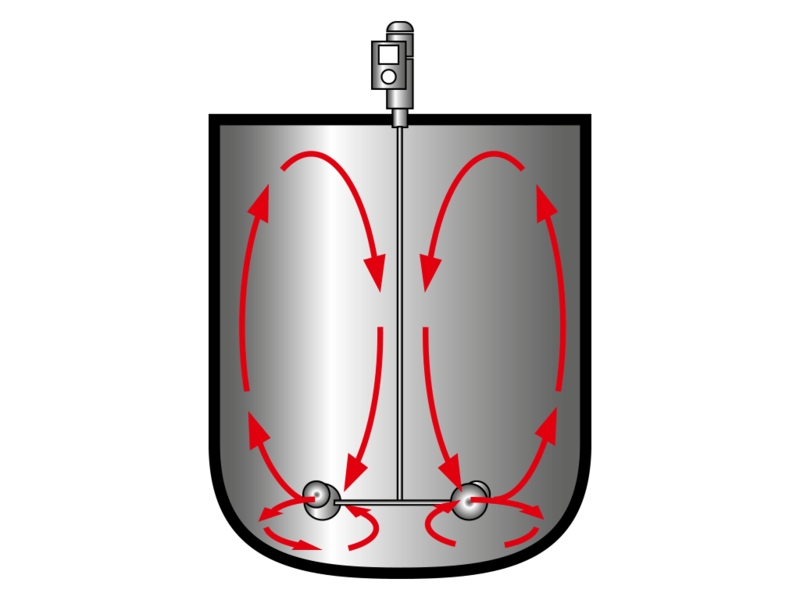 Accelerated laminar flows at the cone exit and the reverse turbulence, created by dynamic pressure at the cone entrance, interact as the agitator rotates generating high-momentum mixing movements. The extremely material-friendly and highly efficient agitator makes it possible to mix, agitate, homogenize, disperse, and suspend with very little energy expenditure. This applies particularly to tanks with very high volumes. 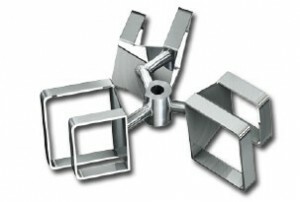 Our VISCO JET® mixing elements in use in a range of different versions and sizes. We use closed cones for aqueous to medium viscosity applications and spiral cones for high viscosity products. Both variants are distinguished by the gentle, productfriendly treatment of the mix and prevent air intake. 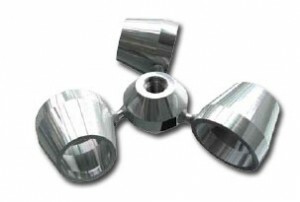 The original VISCO JET® agitation systems are conical, slow-running, momentum-based stirrers which allow for the efficient mixing of a vast range of products even at low circumferential speeds. For high-viscosity, paste-like applications (> 40.000 mPas) such as: Wall plasters, glues, sealing compounds etc. Disperse and homogenize with a single mixing element. That‘s what the revolutionary VISCO JET® CRACK can do. 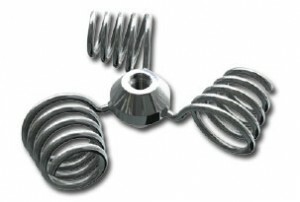 With its unique design, it combines high dispersion power with the proven principle of the original VISCO JET® mixing elements. Low rotation speed, low drive power, strong effect. That saves energy, time, and costs.